The rankings of the top twelve MMORPGs as determined by the players of the Xfire community from play on Sunday, 29 July 2012. For more details about the methodology, click here. Historical data can be found here. As expected following the Guild Wars 2 beta weekend, Sunday saw the amount of time spent playing MMORPGs by the Xfire community drop 12.3%. The three games benefiting most from the returning traffic in percentage terms were Guild Wars (+219.7%), APB: Reloaded (+31.1%) and Need For Speed World (+28.6%). The gains allowed Guild Wars and Need For Speed World to re-enter The Digital Dozen. The big loser last week was The Secret World wich saw a decline of 15.1%. Fighting the trend: The Secret World saw a 15.1% decrease in playtime Sunday despite the fact that Guild Wars 2 is no longer running betas. I attribute this to the fact that the free 30-days of playtime for purchasing the game expires for those who played at launch on Thursday. This drop-off occurred for both Star Wars: The Old Republic and Tera. Funcom is fighting the trend with the release of TSW's first content patch today followed by a first month celebration weekend from 3 August to 7 August. A big fall: Speaking of Tera, the game has fallen out of the Digital Dozen less than three months after launch. 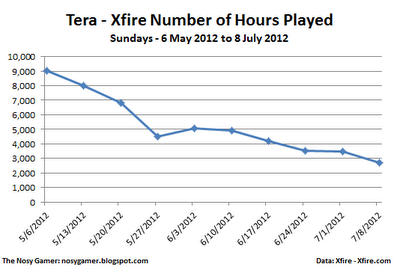 Since its high point on 6 May, the game has seen a 78% decline in hours played by the Xfire community. Sometimes the direction of game design conflicts with efforts to fight botting and illicit RMT within games. 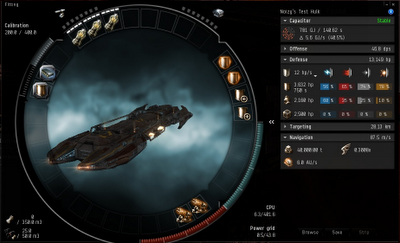 Take for instance the latest re-balancing of dedicated mining ships now underway in Eve Online. Eve's game designers have many reasons for wanting to revamp this class of ships. First, CCP is currently undertaking a re-balancing of all ships in Eve so it makes sense that the roles of each mining ship are reviewed. The second is the desire to see New Eden's low security space become more popular. The changes to faction warfare introduced in the Inferno expansion was part of that effort and making mining ships more viable in low-sec just expands upon that effort. The final reason is that Eve's economy needs minerals for manufacturing and those who would mine in high security space don't feel safe. Ships suitable for the hostile environment will make miners under CONCORD's dubious protection feel safer. While some cry out against the loss of easy ganking victims, others are rightfully worried about the effects the changes will have on the mining profession. Will the changes go too far and attract mass waves of botters back to strip bare the asteroid bots before those in North America can get home from school and work? That scenario has happened before in Eve and no one (except botters) wants to see a return of those days. By all accounts CCP Sreegs and Team Security's War on Bots, especially since late February, has greatly impacted Eve's botting community. Is another part of CCP about to undo Team Security's good work? To answer that question I spent yesterday on Singularity looking at the three Exhumer-class ships: Hulk, Skiff and Mackinaw. My industrial pilot has Exhumer trained to level 3 so was tagged with the horror honor of test flying the ships to check out the new changes. Be aware when looking at the statistics I'm about to present that she has two skills left to learn to receive her elite certificate in Core Competency so all of the skills are not at level 5. Also, she does not have any implants installed that would aid in these fittings. The Hulk, the ship currently with not only the best mining output but the best protection, is the ship all serious miners aspire to own. That I believe is about to change. Here is the new description for the Hulk. "The exhumer is the second generation of mining vessels created by ORE. Exhumers, like their mining barge cousins, were each created to excel at a specific function, the Hulk's being mining yield. The additional yield comes at a price, as the Hulk has weaker defenses and a smaller ore bay than the other exhumers." The big blow comes to the Hulk in the form of a 7,500 m3 ore hold that cannot be expanded. The area is not sufficient to hold the output of two full cycles (6 minutes) from 3 Modulated Strip Miner IIs. For those who currently shuttle back and forth between a station and asteroid belts this is a huge nerf to overall output, relegating the Hulk to use only when part of a fleet with Orca support. The below fitting is a max yield set-up that demonstrates the thin tank on the ship. A max yield Hulk. Note the lack of a tank. Botting future: The changes will end the Hulk's reign as the favorite mining ship for botters. The use by solo botters will end as those botters drift off to choices with a larger ore hold. The serious personal botters and those feeding illicit RMT operations will still utilize the Hulk as its superior mining yield makes the former tier 3 exhumer the superior choice in mining fleets supported by Orcas. The Skiff currently is a ship that specializes in the mining of the hazardous mineral Mercoxit. 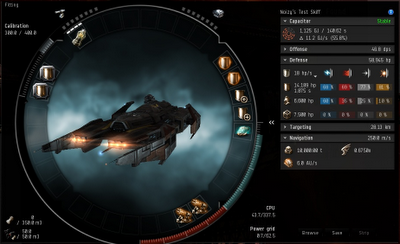 CCP has taken its rugged background into account and turned it into a tough, maneuverable little ship. With an ore bay capable of carrying 17,500 m3 the Skiff appears built for low-sec operations, especially short (20-minute) ninja outings. But with the max yield from its single Modulated Strip Miner II 17.8% less (at least with my skills) than the current max yield from a Hulk, using a Skiff would represent a loss of income for botters. For some reason mining botters do not like operating in low-sec. A max yield Skiff is not squishy. The above max yield fit shows how rugged the Skiff is. The reason for fitting a Survey Scanner II is that was about the only useful item that would fit after installing the two meta 3 medium shield extenders. Even with the presence that utility module the Skiff has a battleship-class tank. Botting future: Compared to the current mining yield of Hulks, the consistent use of Skiffs would represent a loss of income for botters. The Skiff is suited to high risk environments and could see use by botters during events like Hulkageddon. If botters have to settle for using the Skiff then CCP will have won another round in the War on Bots. The Mackinaw is another specialty mining ship, one dedicated to mining ice. After the changes the Mackinaw will have a larger hold capacity, 31,250 m3, than any other mining ship. This, combined with the ability to fit three Mining Laser Upgrade IIs, give the ability to outperform the existing Hulk's yield over long periods of time. While the Mackinaw's Modulated Strip Miner IIs yield 10.4% less than the one's on the Hulk, its ability to stay in a belt for 7 full cycles give bots the ability to make more ISK than with the old version of the Hulk. According to my rough calculations, the Mackinaw will pull in 1,500 - 3,000 m3 more ore per hour than the current Hulk that needs to return to the station each time its cargo hold fills up. Of course, if the Hulk has Orca support then the Hulk will outperform the Mackinaw. A max-yield Mackinaw. Better than a Hulk. Not only does the new-style Mackinaw pull in a slightly higher yield but as far as I can tell it also has a better tank than the current max yield Hulk. If the tank is not strong enough, pulling one of the MLUs for a Damage Control II will increase the tank by about 10,000 EHP but then the mining yield advantage disappears. Botting future: While the Hulk will remain the choice of serious botters, including those involved in selling illicit RMT, the Mackinaw will become the favorite ship of the lone botter who relies on the botting software to shuttle the ship between the station and the asteroid belt. If Hulks prove too squishy after the changes, look for the Mackinaw to become the mainstay of all botting fleets. Having looked at the changes in exhumers currently on Singularity I don't think that CCP is giving the botters too much. The changes in the Mackinaw may give a non-fleeted botter an extra ore hold of ore over the course of a day. Those botters, by the way, don't fuel the illicit RMT companies the way that botting fleets do. Looking at Hulks, I don't see any change in mining yield and the slightly increased tank is not important. In fact, I'm not that concerned about the increased tank on any of the ships. While ganking botters is useful and worthwhile, I have the feeling that once CCP fixes tech that Goonswarm's bounty program for killing exhumers will end. Once that ends, I have the feeling the desire to gank miners, not just botters, will decrease dramatically. And if that is the case, then the amount of tank CCP gives miners won't matter that much. But just remember, trying to get the mining yield of the current Hulk will leave the mining ship vulnerable to a gank. While I may have created the fits displayed in this post on Singularity, I would never use them on Tranquility. I want a little more tank to discourage anyone who wants to claim I'm a bot. I don't know how Jester does it. He writes every day, sometimes three times a day at the same time he is practicing and participating in the Alliance Tournament. I, on the other hand, have hit a brick wall. When that happens, I just have to dive into the game and start playing again. I think I can come up with things to write about next week. Low sec is fascinating and I'm learning that it is not as scary as I thought it was. I think maybe I just picked a good area. I'm hoping to see some Fweddit folks flying around or maybe some Minmatar militia celebs like Susan Black or CSM member Hans Jagerblitzen. Or maybe not. I'm a neutral so I'm fair game for both sides. Then again, I've never done the level 4 epic arc, Wildfire. Now that I can fly command ships, maybe I should spend the isk and buy one. Or should I finally break down and purchase a Loki, which would probably help in low sec? I am a little down on cash right now since I started buying mining ships in anticipation of the mining ship changes. I'm interested in seeing just how profitable doing the epic arc is. Also, possibly getting a set of faction probes is a draw. One thing I don't think I'll do is go to Molden Heath. I hear there are a lot of evil pirates there. Apparently the pirates don't think they have enough members because one bunch is currently recruiting. I hear they are pretty good at small gang PvP, having handed Alliance Tournament X champion Verge of Collapse their only tournament loss. While a pirate's life does sound interesting, I think I'll stay on the good side of CONCORD, at least for now. So hopefully I can come up with something interesting next week. Apparently I annoyed someone because he has been leaving unimaginative comments in a few places. If I remember correctly "James" is actually the ever popular Krixtal Icefluxor. Since there is no pleasing that one, I'll just try to ignore him. So fly safe, or fly dangerously. Just remember to fly. While Eve News 24 has decided to cover games other than Eve Online due to stagnation in null sec, those of us who live in high sec are noticing changes in New Eden. Mabrick, a serious high-sec industrialist, sounds like he is ready to abandon the security umbrella of CONCORD for greener pastures. While I agree that CCP is looking to make high security space less profitable than null sec, I disagree that the reason is to support DUST 514. I just think the changes are part of CCP's long-time desire to make Eve's player-controlled space look like fully formed nation-states rather than mere fight clubs. "In the past we've often started thinking about nullsec again because we were unhappy with our sovereignty mechanics (again), which leads into a nice self-contained area of work. 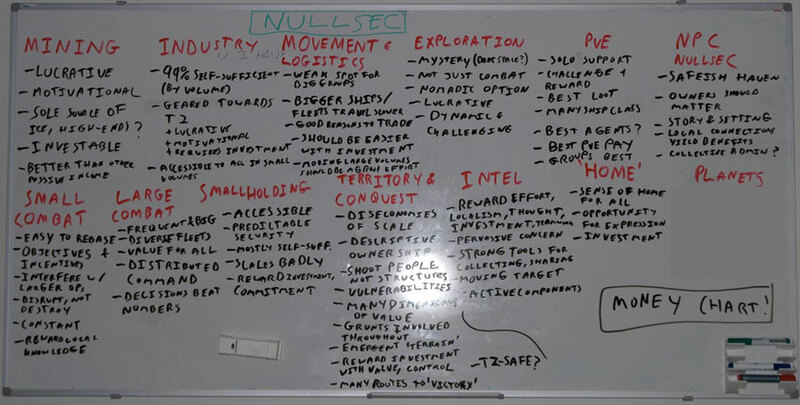 This time our initial discussions were about resources and industry in nullsec, which are things that we've not really tackled "for a while" and "in forever" respectively. Asking ourselves "so, uh... how should industry work in nullsec" set us off down a rather interesting path of putting aside the sovereignty mechanics (for the most part, for now) and looking at everything else. "It quickly became apparent that we needed to take a more structured approach to deciding exactly where our focus should be, leading to the resuscitation of an old project which you could somewhat-charitably describe as a Grand Unified Theory of nullsec design - a proper ground-up breakdown of how nullsec as a whole should work. This project meshed nicely with an internal drive we've been having recently in EVE Development to create and refine more robust roadmaps for where we want to be five years from now and how we'd like to get there, so it quickly got greenlit and we got to work. "What followed were several rounds of brainstorming, filtering, analysis and discussion. We formed an internal group of about twenty CCP employees with an interest in nullsec and held a series of brainstorming sessions; we got feedback from the CSM and ran an open session with them during the spring summit; we even consulted with a few of the Alliance Tournament experts while they were over here, because it seemed like a useful opportunity. All this input was condensed down into two large wiki pages and one very crowded whiteboard, and then refined into a sizable collection of "Epic Stories" for our Scrum backlog"
The fact that Mabrick feels that the alchemy changes CCP is making in response to OTEC will not help high sec tech 2 manufacturers means the feature is working as intended. 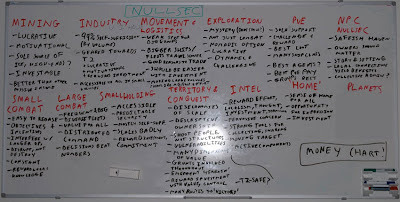 In CCP Greyscale's second dev blog last summer he set down some guidelines on how industry should develop in null sec. I highlighted two sentences because I believe they explain why the alchemy changes are evolving they way they are. Quite frankly I expect the other changes in moon minerals and tech 2 production to make null sec the center of tech 2 industry. I will admit I am not a dedicated industrialist and have not followed the discussion surrounding null sec industry and what these outlined proposals mean for industry throughout the game. But I am betting that this general guideline will influence game design decisions over the next few years. For example, the financial incentives to faction warfare introduced in Inferno make more sense when fitted into this framework. The loyalty point changes make actions in low sec a greater source of loyalty points and thus faction equipment than running level 4 missions in high sec. As the carebear lifestyle in high sec becomes less and less profitable I foresee an exodus of some of the more serious carebears to other regions. I personally am feeling my way though low sec because the thought of making meta-level objects is intriguing and am willing to wait until that is introduced. Others who are already involved in tech 2 industry will eventually move closer to their sources of supply. While Mabrick is concerned that "elite PvP" alliances will not allow carebears to join, I'm betting that the smart alliance leaders are already looking to bolster their industrial capacity. If CCP does successfully push tech 2 production into null sec, then the only alliances that will have tech 2 ships to fight in are those who build their own or beg them from their masters. After all, alliances are called pets because they have to beg for things they cannot obtain on their own, right? The rankings of the top twelve MMORPGs as determined by the players of the Xfire community from play on Sunday, 22 July 2012. For more details about the methodology, click here. Historical data can be found here. The Xfire community saw the amount of time spent playing MMORPGs increase for a fifth consecutive week, increasing by 7.7% over the previous Sunday. The increase was powered by the final Guild Wars 2 beta weekend as all other games saw their playtime decrease. The game suffering the smallest decrease percentage-wise was World of Warcraft (-1.5%) while four games, Maple Story (-21.5%), The Secret World (-20.6%), Lord of the Rings Online (-19.8%) and Star Wars: The Old Republic (-19.7%) all saw declines around 20%. The WoW Killer? With a strong final beta performance Sunday, Guild Wars 2 is in position to threaten World of Warcraft's years-long hold of the top stop of the Xfire MMORPG chart. The Sunday numbers actually understate interest in GW2 as the Xfire community spent 26,152 hours in the beta on Saturday. If the ArenaNet offering comes close to duplicating EA/Bioware's 2 million box sales of SW:TOR then Guild Wars 2 will top the charts by a wide margin. A Tale Of Two Games: Of the four games that suffered a 20% drop-off in time played, two of them were subscription games. The Secret World only released 3 weeks ago and is nearing the point where those playing since launch have to decide whether to pay their first sub fee. Is GW2 enticing enough to lure players away? The second game is SW:TOR. The Bioware game apparently lost all the players it gained with the launch of the free trial that allows players to play a character up to level 15. Was this past Sunday an indication that players are just hanging around playing SW:TOR for free until GW2 launches? We'll know the answers to those questions in a few weeks. I have thought for a long time that the way a game is designed can go a long way toward fighting botting and illicit real money transfers. Eve Online's Captain's Quarters, with menu options only displaying when a mouse passes over an object could make life difficult for botters, expecially since the transparent background for the words would make optical character recognition (OCR) vastly more difficult. Unfortunately unacceptable loading speeds combined with the feature melting some computers relegated the possibilities to the scrapheap for the foreseeable future. I also wonder about the ability of game developers to put in anti-botting measures into existing games. In addition to the fact that players do not like change, our virtual worlds contain a natural constituency opposed to anti-botting measures: botters and those who wish to purchase in-game currency dishonestly instead of using regular game mechanics. One memorable example was the introduction of a new font for the Eve user interface. While the old font looked futuristic, the new font is much easier to read. So why the uproar over the font? One reason was that the new custom font created by CCP broke all the bots that required OCR to function. Bot users cried out for the ability to use the old font until the bot developers were able to make their bots read the new font. That said, CCP did make some game design choices 10 years ago that made CCP Sreegs' strategy of making New Eden an unprofitable place for the illicit RMT trade and its associated fleet of bots achievable. The first of those design decisions is having all players play on a single shard. In all other major MMORPGs the fact that the games utilize multiple shards leads the illicit RMT companies to naturally form cell systems in order to conduct business. This leads to game companies playing whack-a-mole, discovering a network here and a network there, but only rolling up a fraction of an illicit RMT company's operations unless the company gathers up enough information to conduct a mass banning. Eve Online presents a much more manageable environment to monitor. While policing 5,201 visitable k-space systems and 64 regional markets is challenging, CCP only needs a small 4-man team to wreck havoc on New Eden's botters and illicit ISK sellers. Imagine how much manpower is required to police a game that has 20, 50, or in the case of World of Warcraft, hundreds of shards. Those other games either have to divert resources to police the illicit activity or, as happened with Runescape, allow the bots to run wild. The second major design decision that affects the fight against illicit RMT is that Eve is a free-for-all player vs. player game with no absolute safe zones. In other games, especially on player vs. environment (PvE) shards, players can do very little, if anything, to interfere with those engaged in illicit RMT activities like botting or farming instances with valuable loot. When I played World of Warcraft back in 2005 I remember warnings that griefing gold farmers by using tactics like training mobs into the gold farmers could result in a ban if the gold farmers petitioned your actions. 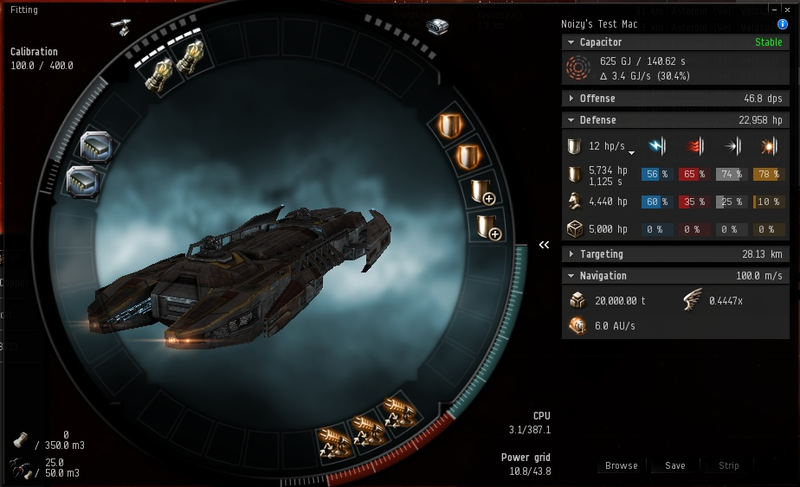 In Eve Online players have the chance to directly influence the profitability of botters and ISK sellers. With the introduction of PLEX in 2008 CCP put an effective cap on the amount of money that illicit ISK sellers can charge. Players have the ability to kill bots without fear of being banned from the game. No place is safe as player-run events like Hulkageddon prove every year. Indeed, the mechanics allow for a player to kill a bot, loot the ship and then report the botter and get the botter banned for a period of time. If the botter is part of an illicit RMT ring, each of those actions impacts on profits. One tactic that can severely impact the output of bots is one many null sec residents hate: AFK cloaking. Because bots are not under human control, in null security space when a non-friendly ship enters a system, the botting software will immediately cause the botting ship to fly to a station and stay docked until the danger passes. If the pilot of the neutral instead flies to a safe spot and engages a cloaking device, the AFK cloaker can then walk away and the bots may stay inactive for hours, losing the controlling player lots of profit. The same tactic, with a little effort, is applicable in high security space. Because attacking ships in high sec results in a visit and punishment from the space police, botting software does not automatically send a ship fleeing at the sight of another ship. However, most botting software will allow a botter to enter names of known suicide gankers into a watch list and when the ganker shows up in the same system, the bots flee and dock up. If the ganker recognizes what is going on, he can then AFK cloak in the system and keep the bots from mining or missioning. Imagine how much money is lost if an AFK cloaker keeps a fleet of 6 Hulks with Orca support bottled up in a station for 6 hours. Currently CCP is winning the war of attrition against the illicit RMT sites and botters. Botting is reportedly down and some big RMT sites like IGE no longer sell ISK. Part of the reason for that success I believe is the free-for-all PvP rules on Eve's single shard. On the one hand Team Security benefits from having less places to search to find all of the cockroaches. On the other hand players are allowed to have an impact on the illicit RMT trade by attacking and harassing those associated with those groups and reducing their profits. While the number of players doing so on a regular basis is small, events like Hulkageddon cut into RMT companies' profits for weeks at a time. Hopefully such a hostile environment will lead the illicit RMT companies to seek profits elsewhere. "No they did not... Oh yes they did." One of the CCP's more endearing qualities is its ability to acknowledge when things go poorly. After all, this is the company that altered a monument in the main trade hub of its flagship game to commemorate a player protest against the course the developers wished to take the game. Often times CCP does this with humor. 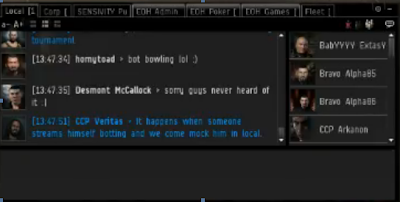 So I guess no one should really be surprised when CCP offered this graphic proof that they had eliminated the problem with the streaming server that acted up during week 3 of Alliance Tournament X.
CCP has a long history of publishing humorous videos that poke fun at things that don't go right. One of the most serious incidents was the boot.ini problem that occurred with the release of the Trinity expansion in 2007. The problem was that the boot.ini start up file for the Windows operating system was deleted from some computers keeping the computer from booting up again. This failure earned a short video expressing what many users felt. Of course, not all failures are as serious as boot.ini. Back in 2008, CCP produced a video that included a poke at itself for the failure to produce a working version of Walking In Stations. That part seems a bit funnier now that we saw what was actually produced 3 years later. And finally who can forget about Apocrypha. One of the best expansions in Eve Online history, but probably not a name beloved by the marketing department. Expansions are easier to sell if people can pronounce the name. I think the marketing department got their point across in this 2009 video. That concludes this walk down memory lane. I hope you enjoyed some of these classic CCP videos that don't quite get the notoriety of some of the more recent trailers. I think these types of videos help set CCP apart from the other companies in the MMORPG genre. While one of my big interests is the whole field of virtual worlds and how they reflect the real world, I'm more famous for my coverage of the darker side of Eve Online. With the success of CCP Sreegs' strategy in the War On Bots™ those mechanical tears are now so commonplace that I don't even have to translate Russian in order to provide a long post. In fact, I think people are actually bored with botter tears. Botters are not the only denizens of the shadow economy that surrounds all successful MMOs. One step up the underground hierarchy are the sellers of illicit in-game currency. In the case of Eve, that is the InterStellar Kredit (ISK). For those new to the MMORPG scene, these shady characters who engage in real money transfers (RMT) are only looking after themselves. They are no player's friend and these entities often engage in theft and fraud in order to provide product to their customers. Unlike covering Eve's botting community, I do not have to sneak onto forums or rely on friendly people to give me a bucket of tears. Illicit RMT is "legitimate" enough that review sites for these companies have sprung up to aid the gold/plat/isk/gil buyer. I used one of these sites, MMOBUX, to check out some of CCP Sreegs' claims about Team Security's success against illicit RMT sites in Eve. Besides providing nice price data, these sites also allow customers to rate the various sites. CCP Sreegs, CCP Stillman and CCP Peligro will be happy to hear that the site now only lists 3 trusted ISK sellers. I'm not sure if one site just gave up the trade or if Team Security's efforts resulted in the company providing really bad service and losing their trusted rating. Either way, score another victory for Team Security. Of course, what would a good mud-raking post be without evidence that buying in-game currency is bad. I couldn't find enough Eve-specific tears so I though I would post some of the best from all the sites that advertise they sell ISK. Enjoy! 3 January 2010 - leute: "i tell you.... i was dumb enouth to pay for some Isk of that shop.... believe me they dont understand what they do.....!!!! oh, and btw. 'yes of cours we have your order, just wait 12 hours then you will get it...' 1 day later the same again!!! DONT DO IT!!!!!!!!" 19 February 2010 - blunderbus: "IGXE uses hacked accounts to make and deliver their ISK. If you use their service you will at the least end up with a negative wallet balance, at most, you will get banned. I have contacted IGXE multiple times and they are unwilling to refund or correct the problem. Within 12 hours of receiving my ISK, I received a -200M balance and a stern warning. BOTTOM LINE: DO NOT USE IGXE"
13 March 2010 - mkelly09: "Purchased 1B isk off of these guys and a day later a GM took the money back and gave me a stern warning. The worst part is: IGXE will not offer a refund, NOR will they give me more isk to make up for the loss. I even provided a screenshot for proof. "Don't buy from them. My account didn't get banned. You might not be so lucky. "They might reply to this and tell me that i just need to contact them. Be aware that this is just an attempt to make themselves look better. I have made numerous attempts to be given a refund or more isk and they have denied me. They gave me a coupon for 15% off. Not what i was looking for." 19 December 2010 - Ganosa: "I ordered 1.5bil ISK for EVE online through this company. The delivery was fast, I will give them that. But mere hours after receiving the ISK I was notified that it was sent to me from a hacked account and the GM removed the ISK putting me in the negative. I attempted to resolve this with the company, but to no avail. They at first said that there was nothing that they could do for me, and after further dialog they said they would send me 1/3 of the amount ordered as 'fulfillment of the order.' I scheduled a delivery and then they attempted to deliver it right away anyways, and would not stop calling me telling me to log in or I would not receive the reimbursement at all." 15 April 2012 - rockman412: "I placed an order 21 days ago for 100k wow gold on a popular server. So far I've had 14.6k delivered, my order status shows as "delivered." "The only way to talk to their "live support" is by not placing any details in the description field of what you need. If their reps think you are going to ask status of an order they will kick you to a "submit an e-mail" form before you talk to a person. Sometimes even after you start talking to a person and you ask for status they kick you to the submit e-mail form anyway to not deal with you. "Their e-mail support you will get mixed messages in German and English randomly so you'll need to be savvy with Babel-fish and even then sometimes they'll tell you your order is ready when it's not. However you won't discover this until you attempt to set-up face-to-face trade with live support." 24 April 2012 - catfishray: "If I could have voted this site any lower then poor I would have. It has now been 7 days since I ordered my in game credits and still have not received them. I have managed to get a timeline for receiving them twice out of approximately 30 times using the online chat thing that 99.99% of the time gives you no response. Both time lines have come and went with nothing new in my account and no new answers from the online 'help.' Don't use these scam artists you will be out your money guaranteed." "The fleet-in-being principle has been adopted by small nations in confrontations with great powers. The idea of such a fleet is simple: keep a viable fighting force together and occupy enemy assets with the threat of a sortie. Since this force can choose the time and place of attack, its enemy must keep an equal or superior force in battle position continually as a counterweight. Considering the need to rest and refit this masking force, an enemy can tie up a force twice its size. This has made the fleet-in-being a favorite strategy of weak naval forces for centuries." "War in EVE is not about battles between fleets or even capturing territory. Battles between fleets and territory changing hands are byproducts of war, of course, but the real purpose is to annihilate the enemy’s capacity for resistance in all forms. Once resistance is eliminated, what battles remain can be won easily and territory taken as an afterthought. Many wars begin with a stalemate of battles won and lost and systems traded until one side finally breaks their enemy’s will, whereupon the enemy implodes." If victory is the destruction of the enemy's capacity for resistance, then preserving one's own capacity for resistance, even if heavily outnumbered, is a requirement for continuing the war. Basic logic, right? Not according to those who mock Against ALL Authorities' decision not to wage all-out war in Delve and conserve their super-capital strength. But I have reason to discount such calls for eHonor as mere propaganda. In strategic naval theory, -A-'s super-cap fleet is a "fleet in being". A concept coined in the 17th century, the purpose of such a fleet is to make a more powerful force tie up considerable forces to counter the fleet's threat. Perhaps the most famous example of a fleet in being was during World War I as the German High Fleet tied down the British Grand Fleet in the North Sea, thus preventing it from supporting land operations in other theaters. Another reason for dismissing the criticism of -A- is a look at Goonswarm's own history. In 2005, the newly formed Goonfleet disbanded into NPC corporations under pressure from mercenary wardecs and set up a shared communications channel to act as a pseudo-corp until the pressure subsided. In 2006, under pressure from Band of Brothers, Goonswarm actually played possum and convinced BoB that the alliance had disbanded. From stories I heard part of the deception plan involved convincing Goons not to post on forums for 30 days. Can you imagine the effort that took? And finally in the wake of Karttoon going on vacation and failing to pay the sov bills in 2010, instead of fighting long odds after their sovereignty dropped, the Goons chose to abandon Delve and fled to Syndicate. But in each case, the Goons came back from their setbacks bigger and more effective than before. Can -A- duplicate the Goons' success? They do have some experience retreating to NPC null sec and then regaining sov. But -A-'s margin for error is smaller this time as they face a foe in the CFC that is better led, more numerous and funded by their OTEC wealth. If they are to have any chance, -A- must ignore the calls to follow space Bushido and maintain their status as an alliance in being. The rankings of the top twelve MMORPGs as determined by the players of the Xfire community from play on Sunday, 15 July 2012. For more details about the methodology, click here. Historical data can be found here. The Xfire community posted another increase in the amount of hours spent playing MMORPGs last week. Sunday's 2.3% increase was the fourth increase in a row. The big gainers percentage-wise were Star Trek Online (+60.5%), Star Wars: The Old Republic (+19.2%) and Maple Story (+13.5%). For the first time in a long time no game saw a double-digit drop in time played on Sunday, although Tera's drop of 7.7% led all losers. No one can resist the power...: Since falling to its all-time low on 10 June, Star Wars: The Old Republic has bounced back with a 26.8% gain in time played in the past 5 weeks. The increase began on the heels of the announcement of free server transfers in response to howling from the player base about dead servers. However last week's big jump was probably due to the new free trial that allows players to play all 8 character classes up to level 15 plus allowing returning players to return to the game for 7 days beginning 10 July. I would like to think that SWTOR is healthy, but remember the last big givaway occurred three weeks before EA announced their earnings report for their 2012 fiscal year. Isn't the Q1 earnings call due in about 3 weeks? Coincidence? I suspect that on the call investors will hear the term "active accounts" instead of "subscribers" to discuss the number of players in SWTOR. Guild Wars 2 Beta Weekend: Watch the number of hours played for every game drop next week as ArenaNet holds the third beta weekend for Guild Wars 2. The last beta weekend saw the Xfire numbers top ten thousand hours played on 10 June. With the Sylvari and Asura as playable races this coming Sunday expect GW2 to post similar numbers. Normally I find something interesting to write about over the weekend. Not this weekend. I was heavily involved in watching Alliance Tournament X and playing Eve. No time for surfing the net and getting inspiration for a post. I have to say that this weekend's coverage of AT X was pretty interesting when the stream worked. Apparently the new studio, while looking good, had some wiring issues and it lost access to the internet during one of the matches. I have two sentimental favorites I root for, Red vs. Blue and Capital Punishment.. Red vs. Blue, who should fly under the name "Purple", I think is a sentimental choice for a lot of players. Capital Punishment. is a small pirate corp practicing their trade in Minmatar low sec and as a Minmatar pilot myself I have to root for the home team. Both Red vs. Blue and Capital Punishment need victories to advance to the knockout stage. RvB, one of the few 2-0 teams to not clinch a spot in the finals, can ensure a spot with a victory over Pandemic Legion. I'm not sure what the scenario is if RvB loses. Capital Punishment. is in a worse spot. They need to win plus Verge of Collapse has to lose. I don't know the scenario for Capital Punishment. advancing if Verge of Collapse wins, but I think it involves Verge of Collapse not getting full points in their match. While watching the tournament I managed to finish my latest faction grind so I now have stations in my low sec area where I have perfect refining. That isn't as important as it was before the changes that eliminated drops of meta 0 loot from rats and scrap metal taking up hardly any space. But having the capability is handy if I ever try my hand at low sec mining. 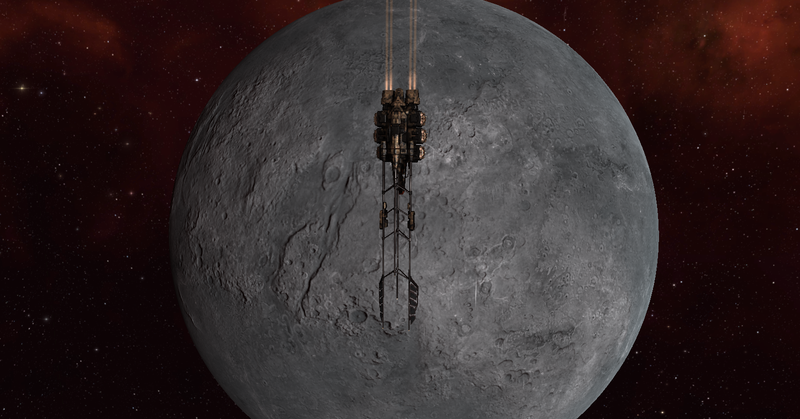 I hear CCP might buff mining ships one day. Finally I broke my two-year moratorium and finally flew an armed ship into low sec. I'm still wary of the pros coming in and swatting me around so I fitted up a Hound and went ratting. Ratting in a stealth bomber? I found I could do it as long as I don't mind warping off. Just align to a celestial so if the damage is too bad I can just warp off at the touch of a button. I also have found that finding a celestial that does not point my ship directly away from the rats helps mitigate the damage. With a target painter and firing Nova Torpedoes to take advantage of the Hound's 15% bonus to explosive torpedo damage per Covert Ops level I managed to down groups of 3 Angel battlecruisers and even a group consisting of an Angel battleship with 2 elite cruisers. I think my tactics not only work against the rats but take into account the realities of low sec. If someone shows up on grid, I can instantly warp away and cloak up. A stealth bomber is pretty squishy. However, I think I have a fit that will allow me to take some potshots at people who do land on grid if the situation is favorable. While I'm not looking for kill mails, I might get one if I run into someone even less experienced than I am. So no thought provoking post today. I had too much fun playing Eve. A Way To Kill Bots In High-Sec? Mining botter: "Set my retriver up in .8 high sec and was ganked by a player since 2004 'ArmyOfMe' as he was in a Loki, and pod killed me as well. how the hell did this happen? doesn't he get his ship blown up?" Bot developer: "It goes without saying that nobody uses a Loki for suicide ganking... It's probably the fault of your drones. The ganker used a newbie ship to shoot your drones and they shot back therefore flagging you as a PVP target. Concord killed his newbie ship and then he came back in a Loki and killed your retriever for free. However I don't think he gets pod-kill rights as well so maybe it's something else, like a war declaration on your corp..."
So I have a couple of questions. Would this actually work? Could I use an in-corp alt to shoot a bot's combat drones to cause them to attack me? And when that happens, is the bot criminally flagged to my entire corp for 15 minutes? I know that the OCR mining bots have some safeguards built in to keep a bot from retrieving ore from a flipped can, but baiting drones seems like a winning strategy to me. I know that attacking a drone in high-sec will draw a response from CONCORD and I am assuming will incur a security status hit, which makes it a bit inferior to just can flipping. So if I take from a yellow wreck could I get the drone to attack me? Okay, so that is more than a couple of questions. But I'm really curious as to whether this is a valid tactic to use against botters. Could those of you who might have a bit of experience help out a curious carebear? Bumping a botter on live TV. own3d.tv/Konorr/live/32… Check. That's right, a botter. I really hope this one doesn't try to petition his ban because there were a few witnesses from CCP on-hand since this botter decided to live stream his actions on own3d.tv, the home of Alliance Tournament X. Soon, lots of devs showed up to prove they hate bots as much as CCP Sreegs, CCP Stillman and CCP Peligro. DJ Funky Bacon linked to a screenshot of local. Since no one managed to record the stream or fraps the incident, I thought I'd link to some of the tweets in #tweetfleet to give a sense of what happened. @two_step_eve @KanoTranker No accident, we'd been bumping and talking in local for a while and have better things to do. Got to the point. @CCP_Veritas He really did. I figured the gig was up as soon as Zulu showed up in local or his viewer numbers started to rise. Now, ordinarily getting caught on a live stream being used as a soccer ball by a bunch of CCP devs in Jovian frigates is bad enough. But did you notice on the screenshot the EOH Admin chat tab? That's right, he was employed by Eve Online Hold'em. I use "was" because one of the co-owners of EOH, Niraia, posted on the Reddit forums, "Hi, EOH co-owner/security here. As of now, the offending player no longer works for us. Good catch, thank you!" Hopefully one of the CCP devs did manage to fraps the scene and will post the video on YouTube. Or maybe someone in system will post the chat logs in local. But until then I have to say bot bowling is one of my favorite sports, even though I've never played or watched it. Last night I was reading Jester's latest post about the silence from the CSM over the past month since the Spring CSM Summit. My first reaction was, "what do you mean, they won't shut up!" Then it hit me; he was looking at the inactivity on their blogs and the failure to publish the minutes from the summit. In other words, the most prolific blogger in the Eve blogosphere is holding the CSM to his standards of writing output. After all, the CSM is made up of 11 members so why shouldn't they publish more words? I think that CSM 7 is attempting to address the two major weaknesses of CSM 6: the lack of communications and the lack of details in the minutes. Let me address the second point first. As Jester reports, the minutes apparently will resemble a telephone book. At least no one can say that people will not know what their representatives say and think, right? I do agree with Jester that the effort will prove counter-productive and that the minutes needed to come out earlier to try to keep interest in the CSM high. As for the lack of posting on individual blogs, I just have to point out that the written word is not the only way to get the CSM's message out to the public. When I wrote earlier that CSM members won't shut up, I meant it. The CSM has frequently made appearances on Eve Radio and the numerous Eve podcasts. Given that I try to listen to the Eve Radio talk shows and as many podcasts as I can, I have heard a lot of opinions from our CSM representatives over the past month or so. I know that I have heard Seleene and Hans Jagerblitzen on Bigcountry's Thursday morning talk show and Hans did some faction warfare stuff on DJ Funky Bacon's show on a Saturday morning. As a service I'll list all of the podcast appearances of the CSM that I know of. Besides getting to hear the opinions of the CSM, anyone tuning in will get to hear some of the fine talent that makes up the current Eve podcasting community. 12 June: Seleene did a one hour interview on Voices From The Void about the summit. 14 June: Alekseyev Karrde appeared on the Crossing Zebras podcast talking about the war dec situation amongst other things. To only listen to the interview, go to 57:20 of the podcast. 20 June: Elise Randolph did an interview on Ten EVEning News. 1 July: Alekseyev Karrde is one of the hosts of the Noir. Mercenary Group's podcast, Declarations of War, and one of the segments focuses on CSM issues. I am not sure where to find episode 27 but the link will lead to episode 28. 10 July: Hans Jagerblitzen appeared on a 2 1/2 hour roundtable on faction warfare on Ten EVEning News. Given all the appearances, I think the CSM is trying to get its message out to the player base. I don't know if more people listen to podcasts than read blogs, but the effort is there. If I missed anything since the summit, please let me know and I will update the list. The rankings of the top twelve MMORPGs as determined by the players of the Xfire community from play on Sunday, 8 July 2012. For more details about the methodology, click here. Historical data can be found here. Once again the Xfire community increased their time spent playing MMORPGs on Sunday, posting a 1.5% summertime increase in hours played. The big gainers were led by The Secret World (+51.7%), Metin 2 (+18.7%) and Maple Story (+10.6%). The big losers were Guild Wars (-37%) and Tera (-22.5%). Third time's a charm: After the disastrous launches of Anarchy Online and Age of Conan, Funcom finally appears to have a decent launch of an MMORPG with The Secret World. As expected TSW jumped ahead of both Aion and Eve Online but failed to post Tera-like numbers and jump ahead of Star Wars: The Old Republic. Whether because of Funcom's reputation or the upcoming release of Guild Wars 2 next month many players indicate they are waiting a month or two before giving TSW a try. This trend may work out in TSW's favor as the Funcom offering may avoid the rapid decline in playtime suffered by recent titles like SWTOR and Tera. Another game, another decline: Nine weeks after the full launch of Tera, the game shows the pattern in the Xfire numbers observers have come to expect of MMORPGs. In the nine weeks since the launch weekend, Tera has experienced a 70.3% decline in the number of hours played by the Xfire community. This decline corresponds closely with the 62.7% decline suffered by Star Wars: The Old Republic from 1 January to 4 March. Will Tera manage to stabilize its numbers? If Tera continues to mirror SWTOR's performance, the release of Guild Wars 2 could actually knock Tera out of the Digital Dozen. History has a tremendous influence on how people look upon the world. Indeed, that same experience influences our art, our literature and dare I say it, our video games. I think that is one of the factors that makes Eve Online so fascinating. How does a country like Iceland produce game designers who can produce a game with so much conflict, both military and diplomatic? After all, Iceland is located in the middle of the North Atlantic and never comes into conflict with anyone, right? Over the weekend I found a BBC documentary, History of the Cod Wars, on YouTube and watched it when I wasn't watching Alliance Tournament X. After watching the documentary and doing some additional research, I think I've found some aspects of the conflicts that fit nicely into the game design of Eve Online. 1. Resources drive conflict. For those of us who live in the United States, popular perception is that war and international conflict over the last 70 years was driven for the most part by ideology. Whether the U.S. was fighting fascism in World War II, communism after that during the Cold War or radical Islam starting in the mid-1990s (some would claim that started in the early 1980s) the main driver of conflict was ideals, not wealth. Not so for Iceland. The island nation's international conflicts centered on natural resources, specifically cod. In the 1970s, the fishing industry made up 15-20% of Iceland's GNP. With such a dependence on fishing and fears that Icelandic cod would face the same fate as Icelandic herring, fishing for which utterly collapsed in 1969 due to over-fishing mainly by the Norwegians and Russians (2), the Icelandic government moved to protect a resource they considered a vital national interest. British leaders, looking to protect their northern deep sea fishing fleet, responded with the Royal Navy. When talking about Eve Online, game developer CCP will often make references to going to war with other players if, for instance, another corporation begins over-mining in a system a group of players considers home. These references come straight out of the Icelandic experience concerning fishing resources and the Cod Wars. 2. Resource scarcity will eventually make friends fight. Many players in Eve Online look at the many NAPs (non-aggression pacts) as bad because they limit fighting. Some even fear that all null security entities will sign NAPs and that will end conflict in New Eden. Yet CCP doesn't seem that concerned with that particular issue. Why? Because the Icelandic experience is that non-agressions pacts do not prevent military conflict from occurring. During the Cod Wars, both Iceland and the United Kingdom were members of NATO. Indeed, while the U.K. is the United States' closest ally, the U.S. signed a treaty (in effect to this day) that pledges to protect Iceland militarily. Does this sound like some of the actions we see when members of the CFC get bored and start fighting amongst each other? 3. Resource gathering ships are a valid target. Many players in Eve are dedicated industrialists and, like the shipowners of the U.K.'s deep sea fishing fleet during the Cod Wars, would like to see those in authority protect their ships. Many in Eve's carebear community want to see suicide ganking in high sec totally eliminated. Some go further and advocate a complete ban of formal wars in high security space. Based on Iceland's history, I cannot see CCP meeting those demands. Sure, Iceland's economy depends on its fishing fleet, but the fishing fleets of other nations pose a threat to the health of the fish the island nation lives on. Fortunately by the time the second Cod War began in 1972 the Icelandic Coast Guard had developed trawlwire cutters and so could just cut the trawling lines instead of trying to board ships as had occurred during the first Cod War. That innovation probably prevented a lot of shooting between the two sides. But Icelandic captains were not adverse to shooting unarmed fishing vessels poaching in their waters, as the captain of the C.S. Forester discovered on 19 July 1974. Also, I was reminded of the call of supporters of suicide ganking to miners to tank (make a ship more resistant to damage) their ships. During the Cod Wars the Icelandic Coast Guard utilized armed trawlers alongside their patrol vessels. According to the documentary one of the converted fishing vessels, ICGV Baldur, had a reputation for giving better than she received in the bumping and ramming that characterized the battles of the Cod Wars. Yes, the concept of the Battle Hulk pre-dates Eve in the Icelandic mind. 4. Anyone can defend themselves. A lot of players in Eve will state that a smaller corporation cannot defend themselves against a larger corporation or alliance. Others will state that a large group of carebears cannot stand against a small group of PvP players. Does anyone think that people who grew up with tales of their tiny coast guard taking on the powerful Royal Navy is really going to deep down in their heart believe that? With no disrespect intended to the members of the Icelandic Coast Guard, they were outnumbered and outgunned by a better trained navy that had a tradition of victory stretching back centuries. And yet, Iceland came out victorious in all three of the Cod Wars. 5. Diplomacy is good. One of the elements that allowed Iceland to come out on top of the Cod Wars was a strong diplomatic effort. One reason that Iceland prevailed with the implementation of the 200 mile exclusion zone was that was the limit being decided on in the United Nations' Conference on the Law of the Sea that began in 1973. A factor that helped is that the U.K. stood to benefit far more from receiving drilling rights in the North Sea than from any economic loss it sustained from the loss of its northern fishing fleet. Other diplomatic efforts designed to put pressure on the U.K. leadership were overtures to the Soviet Union seeking to purchase additional patrol boats for the Icelandic Coast Guard and threats to deny access to NATO forces to the naval base in Keflavík. While CCP has not implemented features like a binding treaty mechanic (see point 2 for one possible reason), players in Eve Online are aided by features that allow corporations to form alliances, grant and deny access to their facilities and to mark friendly players, corporations and alliances "blue" in order to prevent accidents from occurring. 6. Smack talk in local is normal. We may have British fishermen to blame for CCP's acceptance of smack talk in local and on the forums. According to the documentary whenever matters were going well for the fishermen, they would blare Rule Britannia! over the radio. I don't know if the Icelanders responded in kind, but smack talk in local is possibly an Icelandic military tradition. 7. Tears. A lot of people outside the game don't like the fact that players in Eve enjoy others' tears and think that CCP needs to do something to stop the harvest. Apparently they don't know Icelandic history. Here is a clip describing a situation from the first Cod War that immediately reminded me of Eve. I am sure I missed a lot of items from the Cod Wars that slipped into the philosophy and mechanics of Eve Online. I'm not a scholar and don't really know a lot about Iceland. I traveled to Reykjavik for Fanfest and believe that getting to know a bit about Iceland helps in understanding Eve. I received the first inkling that the Cod Wars were a big deal when I ran across a display about the ICGV Óðinn and its role in the Cod Wars when walking to the Harpa Center from my hotel. Watching History of the Cod Wars helped me understand Iceland just a little bit more. (1) It should also be noted that Iceland was invaded by Great Britain on 10 May 1940. Last night I worked late and instead of just writing a blog post when I got home I jumped into my Prowler, turned on Eve Radio and started doing distribution missions. I have to say that doing missions is a lot more fun in low sec than in high sec. I tried doing distribution missions again in high sec last weekend and I was bored. Multi-boxing just kept my hands busy. In low sec I only can run one pilot at a time, but I find that I'm a lot more interested in my surroundings. The real possibility of losing a ship keeps one's mind focused pretty well. The whole process of checking local, seeing if any nasty pirates are in system and having to make decisions on whether to jump straight to a station or to one of my observation bookmarks to check out the situation keeps things interesting. Did I mention that I'm nervous every time I undock because the stations don't have windows? Oh, and every so often I see NPC pirates at the gates, but since I don't fly ships with weapons mounted in low sec I just cloak up and fly away. But the wrecks of those NPCs do make the overview more colorful and dead Angel Cartel ships always brightens my day. Is the risk worth it? I don't know about mining, but distribution missions definitely are, especially in a blockade runner. I have a set of bookmarks over a large area, although I need to bookmark a few more systems because I didn't figure missions could take me into another region. I don't know if making all the bookmarks was really necessary, but I feel a lot better having them. I should add that I am not doing distribution missions for the isk or the loyalty points, although the payouts are much better in low sec than in high. I want to have some stations in low sec where I have perfect refining. Sure, for the corporation I am currently running missions for I could do the standings grind in high sec, but low sec is just more fun. One of these days I will need to learn how to blitz combat missions, but until then distribution missions are what I do to grind standings. So I have a ton of systems bookmarked, I'm hopefully two weekends away from having standings for perfect refining in some of the local stations and I have a NAP with a 300-man alliance. Looks like I'm moving to low sec, doesn't it? I'm still not sure about that, but I do plan on spending a lot more time there just to see what that part of the game is like. The trolls posting about botting on the Eve Online forums are beginning to irritate me. I really hate the ones that claim that bans only occur once a year because I think people will begin to believe them. Since CCP Sreegs or CCP Stillman haven't written a new security blog (for understandable reasons) and the CSM hasn't really shared the details of the Security briefing at the Spring Summit (checking to make sure the NDA is not violated), I guess I'll post some more botter tears, this time from the Eve Pilot/Eve Miner forums. I can hear the groans now. More botter tears? Sorry, but this batch of tears may be interesting, or at least tasty. At least I think I saw the complaints that CCP Stillman hinted at on Twitter a few weeks ago. Also, patch 1.1 came out so I included some of the posts about that to describe some of the frustration of the bot users and to also point out places that CCP is messing with the bot developers. I should add one additional note. Most of the technical details described in the below forum excerpts have been floating amongst most of the botting forums I visit. One piece of news I have not written about until today is that with CCP's increasingly successful detection of botters using virtual machines, users have been asking bot developers to look into a software called Redguard. I don't know too many details about the software except that most of the developers didn't think too much of the software when first introduced to it. Now? Something for me to research and watch. baldur: "My bot got banned today and also one of my main chars wich has had no interaction with the bot what so ever my other alt did not get banned tho dont know why? What should i do what should i change. I admit my bot had been running for 2 days mining maby i should tone it down a bit? How did they figure it out? and what can i do to fix it ? and how did they ban my other account wich is not a bot and never has been ?" Famine: "Yup got banned also, right after DT. So far my main is not banned though. Guess ill check back soon. Only been using the bot again for about 4 days, before that i had not used it in over a month. used a VM, transfered isk directly to main, contract trades also, and in game trades to main. He only has 2 days in his skill queue thats what im annoyed about lol. If it was a 14 day ban and i had a long skill in there i wudnt really mind, have no plans to ever sell that character anyways. Id be surprised if my main doesnt get the 14 day ban also. Luckily holidays next week." Famine: "Hmmm thats strange, they negative isk'd my bots wallet to nearly -700m isk... I know they negative your wallet for the estimate value you used the bot for but roughly that would equal the amount value of what i mined this week i think... if they went further back on the logs wallet wud be down in the -40 to -50bisk range." spod: "I have just had 4 accounts banned :/ .. thought I was being so careful too. Ah well. I guess eventually they catch up. Time to roll some different ones I suppose. This only came a week after I started ice-mining with 2 of them that got banned. 3rd was a relatively new miner. The 4th was on a VPN, so I don't know why that got flagged. Others on a VPN and mains did not get it. All were using VMWare. I think the worst thing is that they have the stuff in their hangars that I can't get at. Slav, when can we have auto-place to a corporate hangar?!? "They also negative ISK'd the characters wallets too. I wonder if it's worth biomassing them. Pity though since some are 15mil+ SP characters. Might be a good time for me to properly separate the bots and mains!" spod: "Yea, it will take around 3 billion to zero out the balances on the chars I've had banned. I'm thinking that might be the end of the bot-box. Just say screw it and go play Skyrim or Civ5. Got nearly a year out of EVE thanks to EVE Pilot, in the end it just feels like a second job." spod: "Just temp banned. May make a new fleet of miners to pay off the ones that got negative ISK'd. It still bothers me how they came to ban mine. I had the timers set to take breaks and be pretty 'human like' I thought. I didn't mine excessively (max of about 10 hours a day, often less). Maybe I just need to reduce the timers further." rrfarmer: "Yep, about 2 billion in the red. Wow I must have mined a ton of Veldspar. "Been using the bot for about 2 months. This ban is weird, I only booted for a max of 6-8 hours a day, every other day, with a ton of delays and log off times (did a lot of them manually). Also I would take the accounts and go talk in chat on them, get ganked, run corp OPs, and everything a human would do. they must really be getting serious about banning bots. 2 billion in the red is crazy. And with all the regular playing stuff I was doing on these accounts..."
Famine: "Well there would be an increase in bots being banned, CCP used to only mass ban bots every few months. Now they detect and ban bots on a daily basis. I reckon they have some new toys they are using to find them cause there are a hell of a lot of bans going around that started last week." "Going negative ISK is not just from buying plex, if you are botting they will estimate the total cost of what you mined, negative ISK your wallet, you then have to sell all that ore you mined in order to get your wallet back to being positive. That ensures the economy stays stable." Famine: "When i started using Eve Pilot i knew it was always only a matter of time until i got caught. Im not bothered about it, i can get caught 1 more time before i have to stop all together and make a new account unassociated with my other accounts. Would never want that char perma banned. "Using any botting software you WILL get caught eventually, i can 100% guarantee you. It is only a matter of time. Get into botting knowing and accepting this is a must." ....and miner still detected and banned accounts as a result. These miners were new. Had never used the same computer configuration and were all running VMWare.......go figure!" Dinky: "I only lost 2 of my 5 active botting accounts so far. The 2 accounts were on vmware with each using its own subscribed VPN. Only 1 account per VM and VPN so 5 VM's were running in total. I expect to loose all of them shortly so I have taken the precaution to move the assets out of them and monitor the situation over the next few days. I will then use redguard with new toons and see how I get on. "My main accounts are okay as they all have separate email addresses & don't use VPN or VMWARE. "As I said in my original post I only botted a few hours per day on each toon so I think the flagging must have come from the client itself perhaps through the new launcher. "Whilst I understand the reason for you changing my statement I still think it is a very bad time time to be botting. CCP seem to be winning the battle judging by the number of posts from previously very successful elusive botters." Zdzichu: "maybe what i writing not will be popular, but ... MINING AT BOT ISIN'T SAFE ANYMORE !!! that was , 2 - 6 years ago, right now - after that many years CCP got toys to catching botters, SLAV EB is a great and usable toy but - like others program like this easy to detecting..."
spod: "I've wondered about only mining in evening hours, i.e. drastically reducing the number of hours and then taking a day/days off every now and then. Maybe that will help. I'll have to crunch the numbers and see if it will even be feasible to run the bots for that short a time and be able to keep the accounts running + make anything decent. If they're only making a few hundred million over the cost of the monthly plex then it's just not worth it." macrolab1: "1.1 changed Inventory windows so Slav has work to do." Slav2 (EP developer): "Ok, it will take some time to fix. Changes in setting files so first run wizard cannot be completed." Slav2 (EP dev): "Dont try to use bot while it is not fixed. In best case it will not work, in worst - you will get banned." Slav2 (EP dev): "CCP implemented crc checks and logging time intervals between making settings. You can see these timers in core_public__.yaml file and I think we need to add more randomization intervals here just in case if this info will be used by CCP to track bots." Slav2 (EP dev): "The first test version is ready. It works with courier w/o any noticeable problems, hopefully it will work with trader and miner too. I will need to sleep couple of hours and go to work. Can continue tests after the work only." "edited. Storyline missions support is still broken." Famine (On whether a patch will affect a bot): "Normal update yes that takes like 2 seconds to update, pretty much guaranteed to not effect the bot... major updates that are 650 MB that change the GUI, the inventory system and dozens of other changes... well the only answer to that is.. DUUUUHHHHHHHHHHHHHHHHH"
DSeverach: "Shader Quality, Texture Quality, and LOD Quality all say High and need to be Low." Slav2 (EP dev): "Yeah, CCP changed place where they store these settings, I will need to add corrections." ComalDave: "Eve Miner Statistics. Prices are totally bogus. It is telling me I can make 1 Trillion per hour mining Plagioclase. That is 1,065,301,000,000 ISK per hour. I think something is wrong!" andre.h91: "3 or 4 day after buy evetrader bot got banned... I use this bot for 4-5 hour for day..."
По идее сегодня истекает 14 суток - но пока перса не разбанили.Кто сталкивался с этим - посоветуйте что делать ? Акк разбанили.Но он щас в минусе на 34кк.Поправить можно это ?